Can’t remember what that new car smells like? Missing that fresh air scent? Freshen your ventilation system and start breathing in clean air again! This service will eliminate virtually all odors, organic and chemical from your cars ventilation system so you can breathe fresh again. 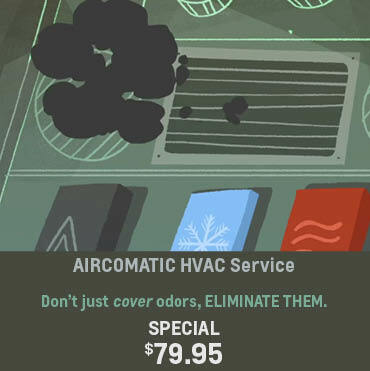 AIRCOMATIC even helps to eliminate cigarette smoke and pet odors!